In honor of the midway point in the work week (I know, not for two hours will the lunch bell ring!) I present to you a mystifying collection of offices from around the world. The blogger suggests that these are all government related offices, although I find it hard to believe that France’s government would be SO liberal as to allow a proliferation of Bob Marley posters? And government in Texas is frightening (it’s a bit of a guessing game as to which is which on this blog, however I will give you a hint – there are two Texas examples – It’s the state that keeps on giving!). 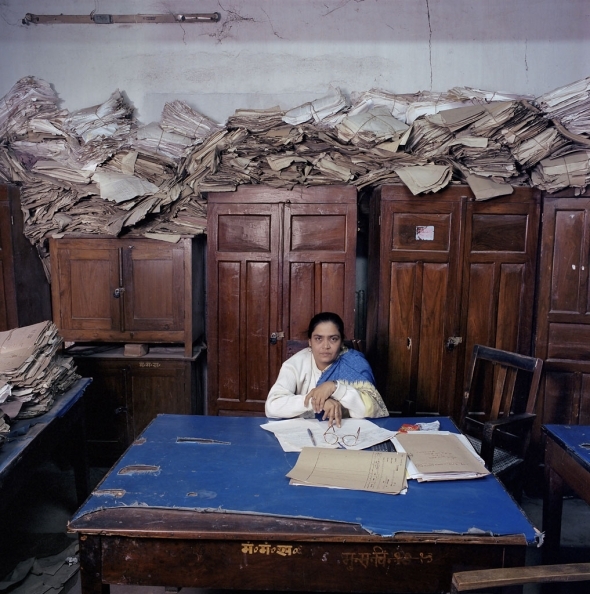 Admittedly Texas is not as frightening as being assigned to sort through the massive piles of sun bleached papers in India (above). Or working in Siberia, Russia where obviously the 1980’s beats on like the Bangles (below). ps. It’s also administrative worker (pc?) appreciation day, so appreciate your admins and your office – it has to be better than these examples!!!! !